The CPMR Atlantic Arc Commission (AAC) is supporting the Atlantic Water Games, an annual sporting event taking place this year from 26-31 August in the Pays de la Loire Region, which chairs the Atlantic Arc Commission. The Atlantic Water Games is a sporting event bringing together between 400 and 500 young people from the Atlantic Arc regions to take part in water sports such as surfing, sailing, swimming and sea kayaking. The maritime city of St Nazaire will host the 21st games. They will be coordinated by the Regional Olympic and Sports Committee of the Pays de la Loire, with the support of the Pays de la Loire Region and the AAC. The AAC, as a network of regions supporting transnational cooperation, supports this European initiative, which provides an active showcase for historical and emerging nautical activities in the Atlantic regions. 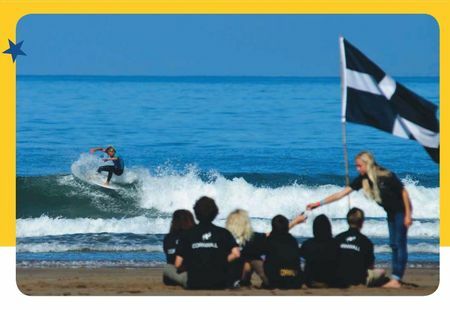 In a letter sent in March 2018 to the presidents of AAC regions, Christelle MORANÇAIS President of the Atlantic Arc Commission and the Pays de la Loire region, called on her counterparts to set up regional youth sports delegations allowing the regions to participate in as many water sports represented. This event offers a rich European sporting experience for young athletes who are aiming for the very highest levels of their chosen sport. It reflects with the political stance of the Pays de la Loire Presidency, which aims to bring the European project closer to the citizens. In addition to participating in the development of the young athlete’s sporting ambitions, the Games also provide an opportunity for boating stakeholders to develop collaborations that unite the maritime identity of the Atlantic.